"Well, I'm shooting backstage at Jeremy Scott, so I wanted to be a little crazier. 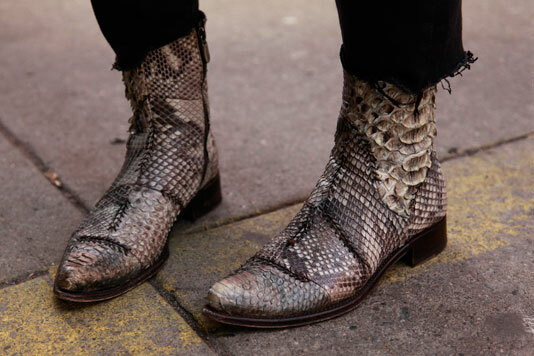 But these (shoes) are Western, but refined." Pattern mixing, texture mixing, and yet so appropriate for the weather. Ally looks ready to spend a day going from venue to venue shooting fashion shows. Ally is proud of these Rocco P boots that she go on eBay for a faction of their original price.